I hope you are ready for another adventure with Night At The Museum: Secret of the Tomb with our favorite night guard Larry Daley, as he travels the globe, uniting our favorite and new characters while embarking on an epic quest to save the magic of the museum before it’s gone forever. This movie brings me back to the first Night At The Museum when I was pregnant with my daughter. When anyone asked me if I had picked out any baby names my response was yes, her name is Sacajawea. My daughter just turned 5 a few months ago and I told her this story last night and she loved it. 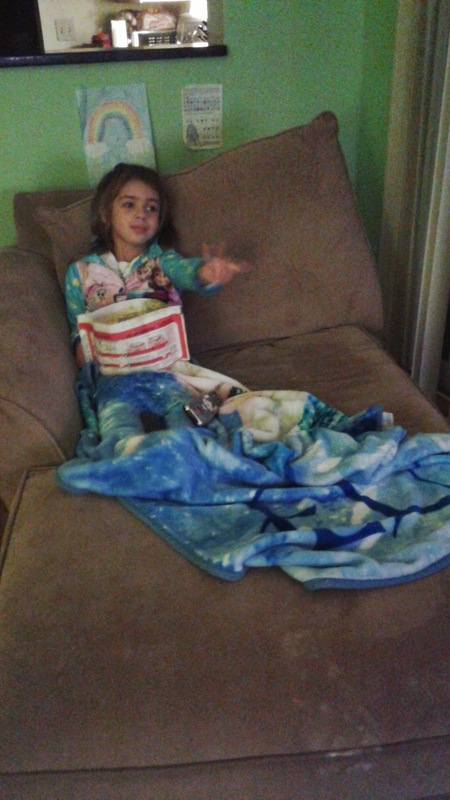 She couldn't stop saying Sacajawea. This movie had me laughing right from the beginning thanks to Dexter the monkey. 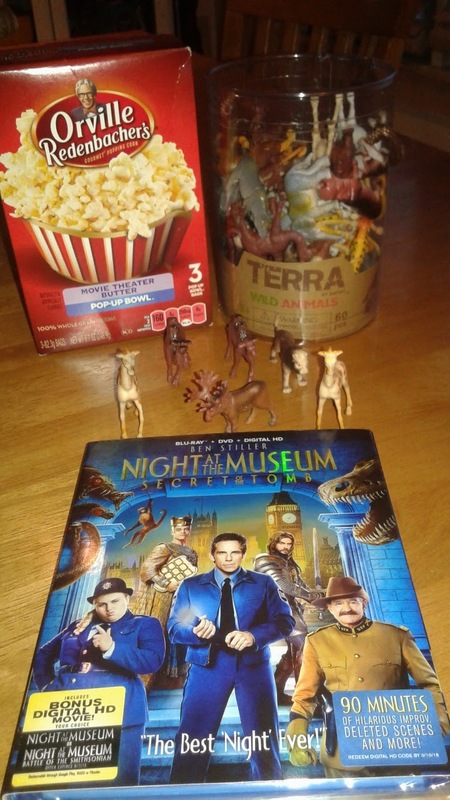 For anyone who hasn't seen any of the movies - with Ben Stiller - how could you not, anyway it's about a security guard name Larry (Ben Stiller) who works nights and weird things happen like the museum animals and character coming to life. In this 3rd sequel the movie starts with a fundraiser involving the animals and characters and things go wrong. Larry soon finds out that an ancient tablet of Ahkmenrah is starting to die which means that the "magic" of the museum is in jeopardy. So the journey to save the museum begins. The characters were all wonderful and it was great seeing Robin Williams in his final role on screen and as always Rebel Wilson as Tilly is always a character. 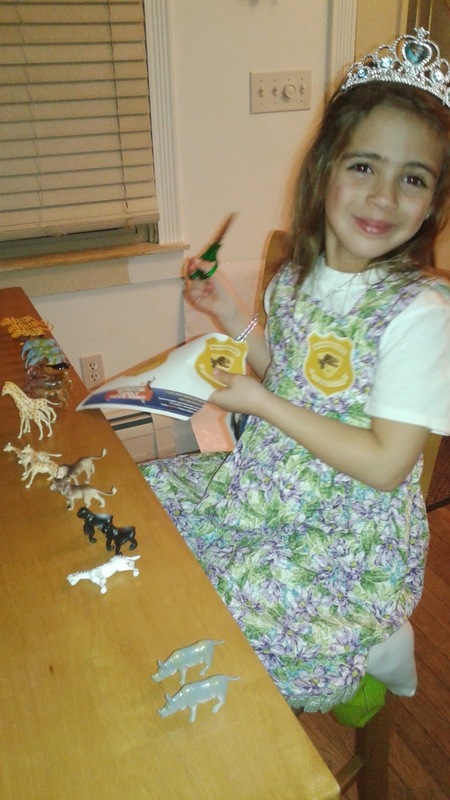 My daughter really liked just the part with the animals, being 5 years old this movie was a bit too much for her but she had a wonderful time playing with the Kit we received which had all the animals, wearing our security badges and learning about Sacajawea and some of the other characters. 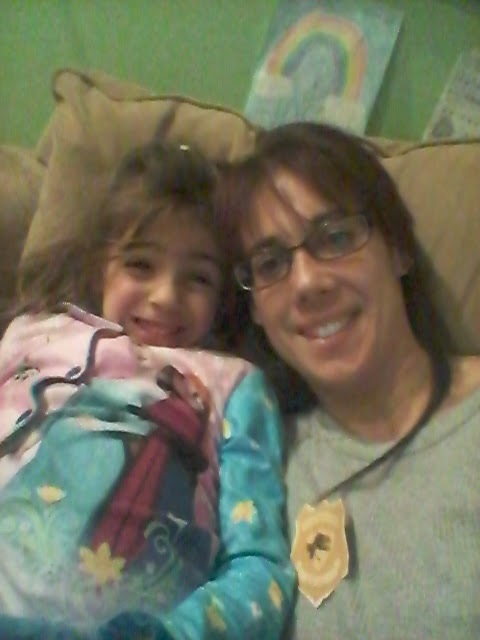 She's really excited to go to the museum and see the dinosaurs and the other characters we learned about in the movie. 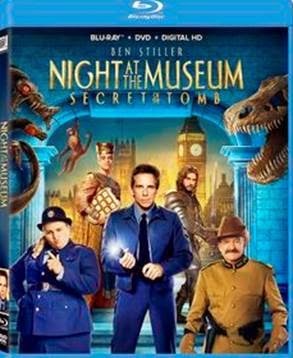 You should definitely watch Night At The Museum: Secret of the Tomb. With all of our favorite characters, how could you not love it.